Many pets have been laid to rest in our tranquil pet cemetery set in eleven acres of peaceful meadow and woodland. You may wish to inter your pet’s ashes in our beautiful grounds. Single and family plots are available, and human ashes can be interred alongside pet’s ashes. With our burial service, your pet is carefully laid in the Chapel of Rest. Here family members can say their final farewell before your pet is interred in a prepared grave in the cemetery. Please contact us to discuss your wishes including the option of a coffin for your beloved pet. From a simple memorial stone to an ornamental headstone, inscribed with any message, our range of memorials will provide a lasting reminder of a true friend. 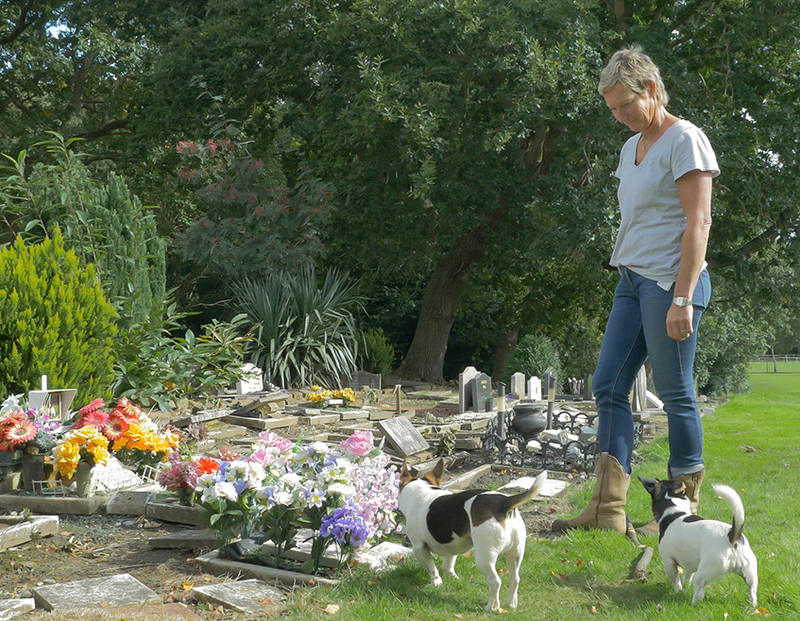 Contact Silvermere Haven Pet Cemetery and Crematorium to discuss your wishes, where we can help you mark your pet’s passing.